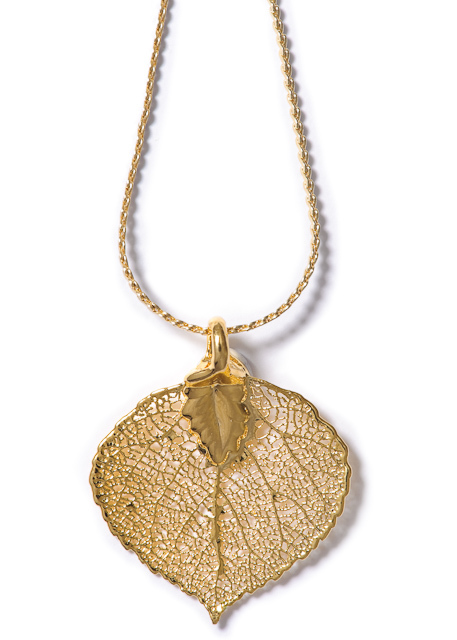 Each beautiful aspen leaf has been plated in 24k gold, and polished to a high luster, revealing the individual veins of each leaf. 18" chain. A special gift from the Rocky Mountains.